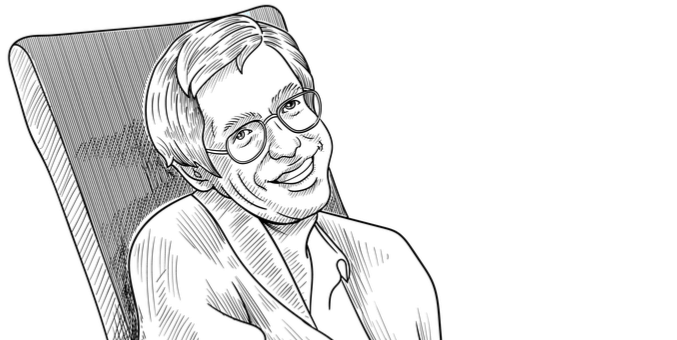 This Wednesday, Hawking, who had ALS, died at the age of 76. During his lifetime, he became what many considered the world’s greatest living scientist, and was widely known for his ideas about the universe (including theories about the big bang and black holes). Hawking and his extraordinary ideas inspired many, some of whom, including big names in technology like Google CEO Sundar Pichai and Apple CEO Tim Cook, turned to social media to pay tribute this week. But why was he so respected within the tech community? Even though most of his contributions were related to science, his clever insights regarding the future state of technology made a significant impact. Hawking’s used a wheelchair to move around after his disease left him paralyzed, and he was dependent on others and technology for most everyday tasks. Hawking lost his ability to speak when he caught pneumonia on a trip to Geneva. He started using Equalizer, an innovative program by California-based company Words Plus, that allowed the user to select words and commands on a computer using a hand clicker, linked to a speech synthesizer. As his disease worsened and his ability to communicate declined, Hawking met with Intel, who applied state-of-the-art computing technology to improve his communicating speed with the use of a keyboard on the screen and a word-prediction algorithm. This system later improved with modern artificial intelligence (AI) and machine learning technology. Thanks to his innovative, assistive technology, Hawking could share this views on the future of computing and how technology improves the way we live. He believed that everyone played a role in engaging current and future generations with the study of science to create “a better world for the whole human race.” He predicted that technology could reverse harm caused to the planet by industrialization and help end disease and poverty, but AI needed to be controlled. He said: “computers can, in theory, emulate human intelligence, and exceed it.” Hawking’s comments were part of the escalating debate about the pro and cons of artificial intelligence, also commented on by technology innovators like Elon Musk and Bill Gates. Stephen Hawking took the world on a remarkable scientific journey through the universe. He was a brilliant scientist, a great communicator, and his revolutionary ideas and arguments were inspiring to the scientific community and beyond. Although he will be missed, his legacy will live on forever. 10Fold salutes you, Stephen Hawking, you will be missed!